The week of the cover reveals continues today with the reveal of Kate Avery Ellison's Of Sea and Stone! 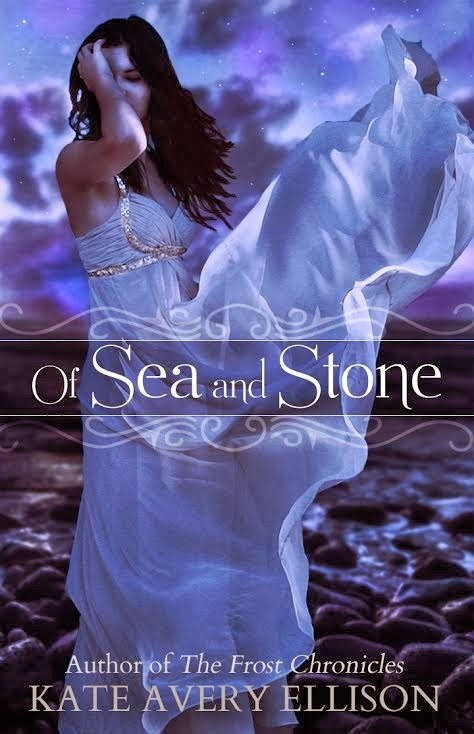 Of Sea and Stone releases February 2014, so keep an eye out! “All her life, clever Aemi has been a slave in the Village of the Rocks, a place where the sea and sky meet. She’s heard the stories about the fabled People of the Sea, a people who possess unimaginable technology who live below the waves in the dark, secret places of the ocean. But she never dreamed those stories were true. How gorgeous is this dress? – I mean cover! Cover, yeah. So pretty! Add Of Sea and Stone on Goodreads!